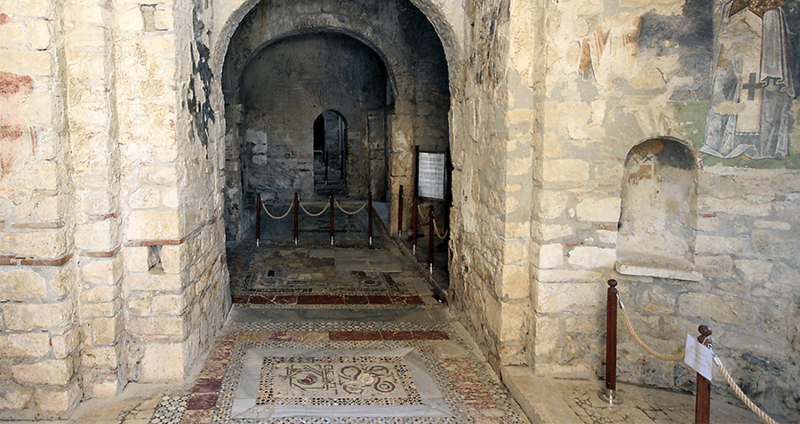 A team at the Church of St. Nicholas have found a shrine beneath the floors, previously unseen due to the tiled floor's intricate mosaic. Getty imagesMosaics on the floor of the Church of St. Nicholas in Demre, Antalya. New Christmas theory: Santa is a ghost. He must be because according to archeologists in Turkey, they just found his grave, buried beneath the Church of St. Nicholas in Demre, Antalya. For years, the whereabouts of the grave of St. Nicholas of Myra — the inspiration for the modern-day Santa Claus — have been contested. Historical records claimed that he was buried at the church bearing his name, however, extensive searches of the grounds revealed nothing. Rumors also circulated that his bones had been stolen by Italian merchants during medieval times. 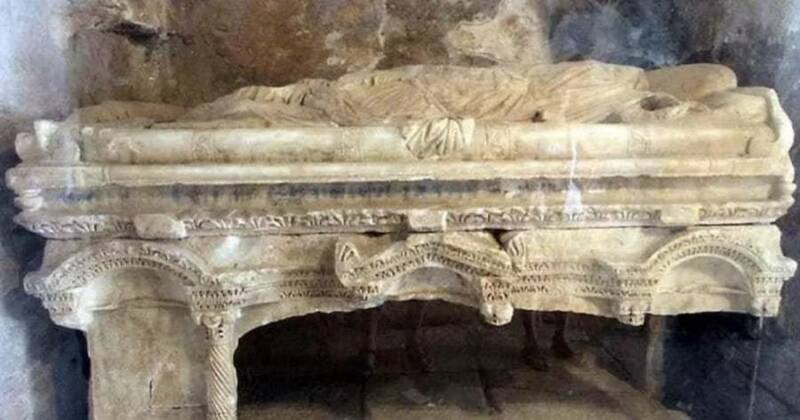 However, the head of Antalya’s Monument Authority Cemil Karabayram told the local news that he and his team had found a shrine beneath the floors of the church, previously unseen due to the tiled floor’s intricate mosaic. He said they found the shrine during a routine survey. Though the project seems ambitious, and though there is not yet concrete proof that human remains exist in the shrine, Karabayam and his team remain optimistic that they will find the bones of St. Nicholas. He plans to hire a new team, comprised of scientists with eight different specialties to work at the site. The groundwork has already begun, and Karabayam says the team will break ground at the shrine soon. Another church at the town plays host to a Santa Claus museum, as well as a sarcophagus that pays tribute to the famed saint. The legend of Santa Claus derived from St. Nicholas of Myra, who was a Greek Bishop famed for his generosity, especially to children. He was known for popularizing the tradition of leaving secret gifts for loved ones around the holidays, which gave rise to the Dutch legend of Sinterklaas, and later, the modern Santa Claus. Enjoyed this? Read about the history of the centuries long war on Christmas. Then, check out these vintage Christmas ads that’ll make you cringe.